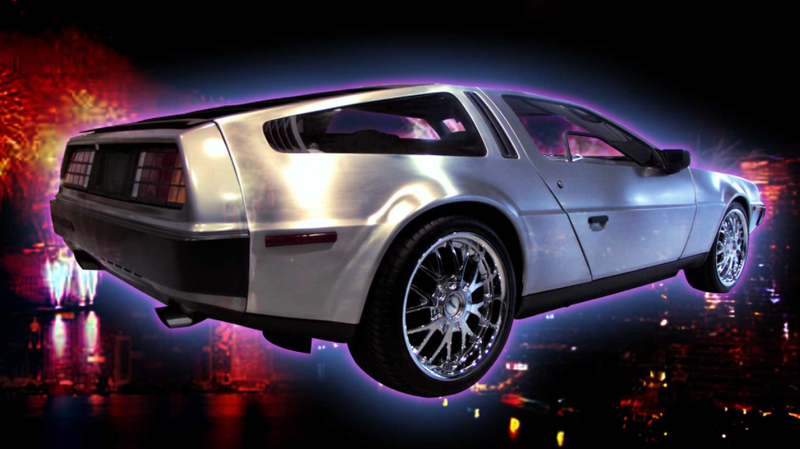 Gloriously wedge-shaped and with a starring role in Back to the Future, the DMC-12 is one of the most iconic cars there is. But perhaps what isn’t as well-known is the story behind the company’s founder, the late John DeLorean. Fear not, though: there’s a movie about him called Driven in the works. Not to be confused with the awful Sylvester Stallone movie from 2001, this Driven will star Jason Sudeikis, Lee Pace and Timothy Olyphant, according to Deadline. International sales will be launched by Embankment films, which will also partner with WME Global for U.S. rights. ... ‘Driven,’ a turbo-charged story about the FBI sting operation to entrap maverick car designer John DeLorean. Sudeikis stars as Jim Hoffman, a con artist-turned-informer for the FBI in the war on drugs. Olyphant plays his handler, determined to snare the world-famous but enigmatic DeLorean (Pace) — desperate for cash to finance his dream of designing the ultimate car of the future — in a drug deal that would become the most lurid celebrity scandal of the 1980s. Clearly, I haven’t seen the film yet. But something about Hamm’s words rubs me the wrong way. The film seems like it will be focused on the DeLorean cocaine bust in 1982—which Hamm translates into “damn good fun.” Which begs the question, fun for who? People watching the film, maybe. People making the film. People who have the luxury of not being personally affected by what happened. But probably not for people like DeLorean’s surviving daughter, Kathryn. I spent the better part of my life dealing with the aftermath of my father’s arrest. I am not sure what all you people did with your yesterdays, but my childhood and early adulthood was filled with people asking me if my father was still in jail and making coke jokes (classy). I was made fun of most of my life because of my father. As a matter of fact, because of this story an old high school friend of mine apologized for the way he tormented me with a Nice and Smooth song when we were growing up. I did not choose to be born into a public life, nor do I have a lot of money or any sense of entitlement because of it. I worked my way up from a measly IT internship at a mortgage company to get where I am today, still making less than 6 figures, hanging out in the 99% and living a normal, everyday life, except for the fact that my father was an automotive genius. And while you are getting all up in arms about that last comment, I don’t believe it is because of the Delorean, I believe it is because of over 200 patents that he created still being used on cars today, and the fact that he invented the modern day muscle car with the GTO. Following this insight, Driven all of a sudden sounds dangerously close to being exploitative. We have reached out to Kathryn to see how involved she was in this film and any other thoughts she has about it and will update if we hear back.